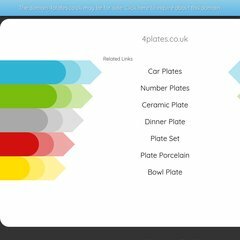 Topics: Faq's, and Novelty Number Plate Design System. Age: The domain is 14 years and 8 months old. The estimated 211 daily visitors, each view 1.90 pages on average. It has 3 DNS records, ns3.nimbushosting.co.uk, ns1.nimbushosting.co.uk, and ns2.nimbushosting.co.uk. The programming language environment is ASP.NET. Ecommerce Interests Ltd (England, Harlow) is the location of the Microsoft-IIS/6 server. PING www. (176.56.60.101) 56(84) bytes of data.